Discussion in 'iPhone and iPad Games' started by Royce, Jun 23, 2016. You are a lone adventurer in a strange, non-Euclidean world. Gather as much treasure as you can before the nasty monsters get you. Explore about 50 different lands, each with its own unique treasures, enemies, terrain obstacles, and mechanics which challenge your tactical and navigation skills. Your quest is to find the legendary treasure, the Orbs of Yendor. Collect one of them to win! Or just ignore your quest and collect smaller treasures. 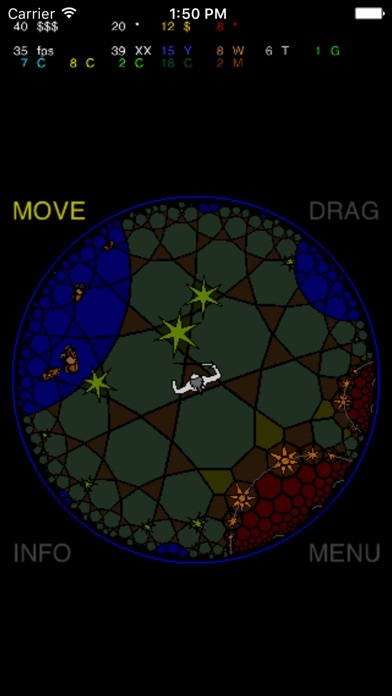 The twist is the unique, unusual geometry of the world: it is one of just few games which takes place on the hyperbolic plane. Witness a grid composed of hexagons and heptagons, straight lines which seem to be parallel, but then they diverge and never cross, triangles whose angles add up to less than 180 degrees, how extremely unlikely is it to reach the same place twice, and how the world seems to be rotated when you do return. All this matters for the gameplay. The game is inspired by the roguelike genre (although in a very minimalist way), works of M. C. Escher, and by puzzle games such as Deadly Rooms of Death. Here is a video of the PC version. It's been out for over a year on Steam, etc. Whoa! This looks pretty awesome! Any imps? I've only been playing it for a few minutes. The game itself is pretty outstanding and there is a ton of content in terms of different lands with different properties. The presentation isn't exactly ultra glossy. It's pretty obvious it was ported over from PC (menus are pretty tiny for example)(though it has been on Android as well for some time). The controls work well however and there is nothing else quite like this game out there. You should check out the steam page or the google play page for the game. It has a ton of very positive reviews. There does seem to be a display issue on my phone (6S with latest iOS) where everything is squished a bit to one side, but I just emailed the developer about it. I heard back from the dev and he is looking into the display issue. Despite some of the display issues, and I'm not sure how many of them are this bug and how many are just this game not being optimized for a small screen (a screen for instance that I believe shows progress unlocking the various worlds is so insanely small that I would need a microscope and some NSA enhancement program to have any hope of reading it), I would encourage anyone with interest in this game to pick it up. It's really very good and quite unique. Every land you wander into has not only completely different enemies, but completely different mechanics. It's almost like every land is its own new game. The Alchemy Lab for instance had blue and red tiles and you can't cross from the one type to the other. 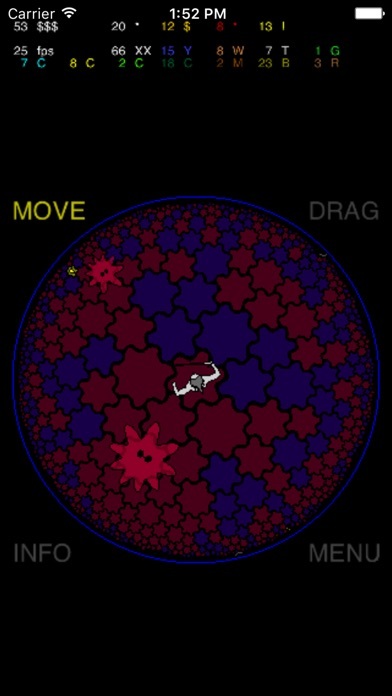 Enemies also come in both colors and are restricted to their color tiles. However, killing one splashes his color around him, changing paths and potentially changing the color of tiles you are traversing. That's just one example and there are 40 of them. I love this game on Steam so I snagged it immediately. While I'm glad to see he's ported the game, there is no denying it's pretty rough at this stage. I'm not usually one to whine about icons, but the current one just doesn't work for me. I can't even tell the little white blip in the middle is supposed to be the character from the game, instead it looks like some starscape unrelated to game. Yeah the icon is no good, and it certainly won't help discovery in the AppStore where it basically just looks like a black square. A single ice tile or something would be much better. The game is amazing, but I wish some of the menus and the UI were better optimized for small screens. 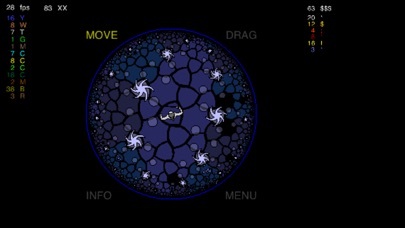 I haven't tried it on my iPad yet, but I'm sure it looks much better on a larger screen. This just got an update. Does it fix all of everyone's issues? It fixed my display issue. The game looks a million times better now, and while I still think the text is quite small is some menu screens, everything is at least much more readable. The icon is indeed very old... I'll think about creating a better one. Maybe something based on a newer land, with better scaling? 1) Navigational text at the top of the screen cropped off. 2) Within that navigational text are the PC's shortcut keys but there isn't anyway to use them on iOS. 3) The listings are often oddly displayed, like how I often was show an empty listing until I scrolled up, and even then I could only see my #2-#11 listings, not #1. Regarding the icon, why not keep it simpler. Just zoom it in on main character with maybe one of the game's more interesting creatures or 2 adjacent to it. Ok, definitely unique, but never been clear on the objective. Obviously, survive long enough to get to hell, but why collect anything along the way; is it just to score points? Does collecting/killing enhance anything but the score? Can you navigate to the last level without collecting any "treasure", and in doing so prevent enemies from spawning? 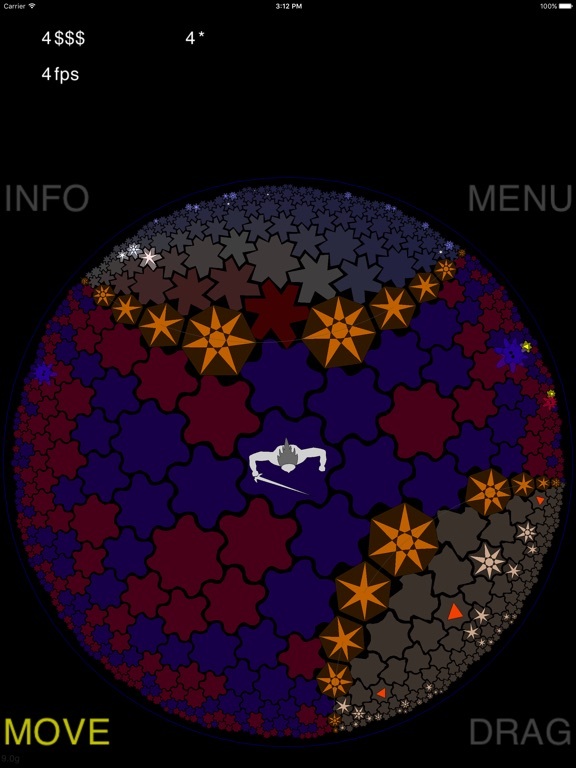 Don't get me wrong, the hyperbolic presentation is great, but unfortunately, despite its unique esthetic, the game is a bit shallow. I know it's minimalist, but It yearns for the implementation of some true rpg elements: abilities, items, npc's, quests, etc. The ultimate goal is to obtain the orb of yendor from hell. Collecting treasure causes more enemies to be generated in a land, and also allows orbs that grant special abilities to appear. Collecting treasure also unlocks new lands that will appear in the world. The game is anything but shallow. It's really much deeper than almost every existing roguelike available on the platform. The number of lands with their own unique mechanics is pretty staggering. The game reveals how massive and complex it is once you start to acquire large amounts of treasure. There are a couple of quests along the way (princess quest and holy grail), and there are various challenges you can undertake to change things up. You should have a look at the guide I posted a link to in one of my previous posts. 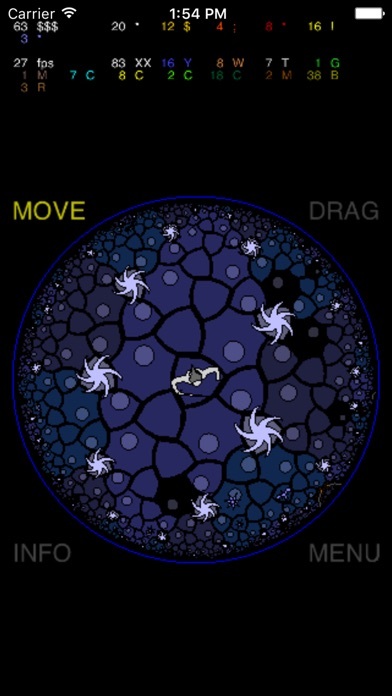 I think that an icon based on the whole screenshot is good, because it highlights what is unique about HyperRogue. Any game could use the graphics of the main character for the icon (and many do). Still, obviously it could be done better. I am thinking using the heptagonal mode (for better zoom) and Crossroads, but we will see. I know it's minimalist, but It yearns for the implementation of some true rpg elements: abilities, items, npc's, quests, etc. Note that some of these things -- or at least their typical implementations -- are missing for a reason. You can explore the world endlessly and you never return to a location where you have been (unless you really try), and that's why typical NPCs, quests, and items are impossible. As for NPCs and quests, you would never find them again. Orbs are just temporary power-ups, because if there were permanent "consumables", the players would basically grind the infinite world for them and that would not be fun, similarly for permanently increasing your power with equipment or killing monsters. IMHO adding abilities would not improve the game either -- the game is more about how complexity emerges from simple rules (Go has just a few rules and it is still a very complex game), and having lands with very different special rules -- more complex "common" rules would make the lands more similar to each other, and harder to balance. Any comments on my other points?